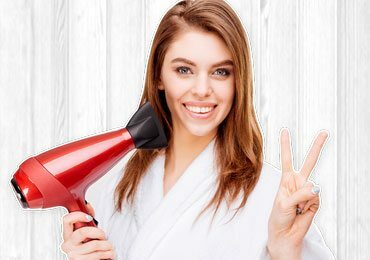 How to Remove Makeup -Top Best Ways of Removing Make Up! While looking gorgeous can be very easy when the makeup is on, looking gorgeous when there is no makeup is quite tricky for all of us. Applying makeup too is not a difficult task but the real hitch arises when we are asked: “how to remove makeup”. For a few beginners, removing makeup is not even considered as a big deal as they feel they can just wash it off and they’re done. Well, that is why they are called beginners right? 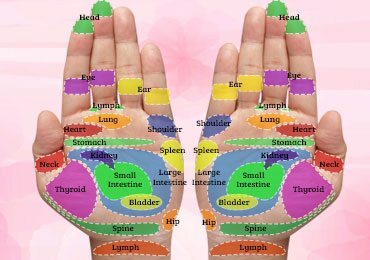 They will start experiencing red patches, itchy skin, dry skin, oiliness, etc. in later days. And why does that happen? Because they are not paying attention to their makeup removal tips! If you too are just a beginner or are really struggling to remove your make-up and hunting for some best ways of removing makeup, then this article is for you. We bring in the top best ways on how to remove makeup that is easy to use and easy on the wallet too! Read on! Just like you apply to make up every time you’re stepping out, you need to clean or remove the makeup before you hit the sack. If you are tired of using makeup removers that are loaded with tons of chemicals and come with side-effects, then you should be considering these best natural ways of removing make-up. Consider reading this article if you don’t want to spend the fortune on those expensive makeup removers that are available over the counter. Let’s get started to know how to remove makeup! How to Remove Makeup Using Top Best Ways? Yes! Don’t be surprised! Milk can be one of the best makeup removers. Milk can cleanse the face deeply and can nourish your face too. It can remove the hard chemicals that are present in your eyeshadows or a face pack. Milk also helps in the removal of blackheads and adds a natural bounce to the face if used on a regular basis. Let’s know How to Remove Makeup Using Milk! This is the simplest way of removing make-up in literally no time at all! To get started, take half a cup of raw milk. Ensure that the milk is not too hot or not too cold. This is to be ensured because hot milk on a face that is packed with chemicals might cause itching. Use some cotton balls to dip into it and apply this onto your face for removing make-up before going to bed. Apply it evenly on your face and wipe off all the makeup from your face. You might have to use more and more cotton balls depending on the thickness of your makeup. Wash it off with clear water after you’re done wiping the makeup from the cotton balls. You will need half a cup or a cup (depending upon the thickness of your makeup) of milk. Add a pinch of turmeric to this mixture. Now use this mixture evenly on your face to remove the makeup by using the cotton balls. Do not apply this mixture in the upper lip portion as turmeric might lead to pimples when used in the upper lip region that is loaded with makeup. Wash it off with water once you’re done and wipe your face with a cotton towel. You might also use small cotton cloth instead of cotton balls. When you’re using the cotton cloth, it is much easier for you to wipe off the make-up from your face. Coconut oil is the best makeup remover especially when it comes to waterproof makeup. It might take a lot of time and efforts from your side when you are trying to remove the waterproof makeup. Might you have experienced that right? Well, we take a little burden off your mind and help you in removing your waterproof makeup by using coconut oil. Coconut oil has a cleansing property that will scrub the makeup on your face and remove your makeup naturally without causing itchiness. 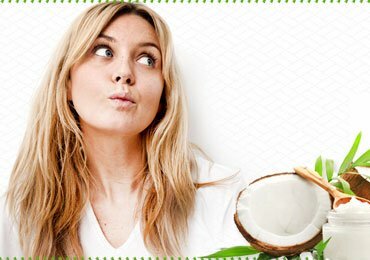 How to Remove Makeup Using Coconut Oil? Take a small cup of coconut oil and heat it on a very low flame. Do not overheat it a bit just make it a little warm for easy application. Heating it on low flame for about 10 to 15 seconds should do the trick. Now apply this Coconut oil evenly on your face and stress it in the regions where there is heavy make-up like the eye shades or the eyebrow makeup. Do not scrub or rub the coconut oil but just apply it gently and evenly. Let it stay for about 10 to 15 minutes. Now wash the coconut oil by using clear water. You will see that the make-up chemicals are coming along with the coconut oil. Wipe your face with a cotton towel now gently. This is done just to get rid of the excess water. Do not over wipe it. Just wipe it on the top and get rid of water content. Now, use a daily body scrub which is very smooth and gentle on the skin. By using this, scrub the makeup lightly and gently and you will notice that all the leftover make-up will be removed. The coconut oil has already done the trick see! The make-up becomes detached from the face and thus it becomes very easy to remove it now. Lastly, wash your face with clear water again and voila! You have just removed your waterproof makeup in a very less time! This is a shorter process and a quite simpler one as compared to the first one. All you need is a small bowl of coconut oil and some cotton balls. Dip the cotton balls into the oil and wipe off the make-up. Heating the oil on a low flame for around 10 seconds is recommended for best results. Remove the oil by using clear water. You might have to repeat this procedure twice for removing the makeup very neatly. Aloe vera is no less than a magic plant, and if you’ve been following my posts, you will notice that I strongly recommend my readers to include aloe vera in the beauty regime. 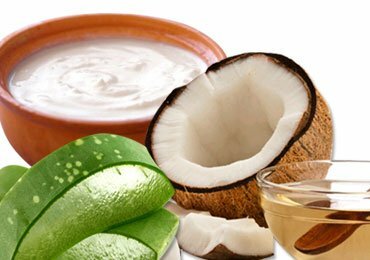 It has got amazing benefits for your skin and your hair too. It has not stayed back in action as the best make-up remover too! It can be added to your beauty regime as a natural makeup remover too. There are many women who can easily remove make-up but will notice white patches, red rashes or itchy skin after they’re done removing make-up. If you are one of those who want to know how to remove makeup easily, you should be looking for aloe vera now! How to Get Aloe Vera? There are actually 2 ways of getting the aloe vera gel that can be used as an effective makeup remover. This can be done by those who are having aloe vera at their home that is readily available for their use. You need to cut some leaves of aloe vera and wash the dirt on it that could be deposited on the leaf. Use a sharp knife to cut off the edges. Now, cut the aloe vera into two pieces and slowly remove the gel out of it. You might have to squeeze the leaf to extract all the gel from the gel. Store this mixture in a small plastic bottle so that you don’t have to repeat the process everytime you need aloe Vera gel. Also, this prevents the loss of the leftover gel. This can be stored in a refrigerator and used when needed. If you don’t have aloe vera at your home, you can simply buy the aloe vera gel that is available in any Ayurvedic store. How to Remove Makeup Using Aloe Vera Gel? Take the aloe vera gel extracts by following any one of those methods. Apply this gel onto your face evenly and rub it by exerting some pressure on the areas where there is heavy Make-up. Add a pinch of baking soda to water. Wash off the mixture from your face by this water. 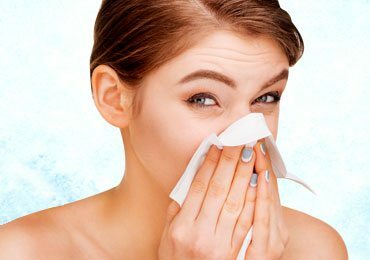 Clean your face with a neat towel and you will notice that your makeup is removed and also the itching sensation will be reduced to a great extent. Olive oil has amazing benefits for skin and hair. And don’t be surprised if I tell that it can also be used as an effective makeup remover. It has bleaching properties that can help your skin to get rid of the harsh chemicals that are contained in the makeup. 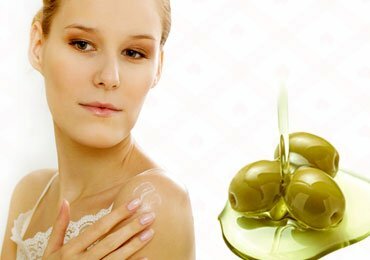 Especially if you have dry skin or a very sensitive skin, olive oil can do wonders for you. Mix olive oil with some water. Add a pinch of baking soda to this water. Mix it well and use a small cotton cloth to dip into the mixture. Apply this evenly to neatly wipe off the make-up. This is a very simple yet most effective way of removing makeup as it is a mixture of olive oil and baking soda. It will not leave any signs of red patches or itchiness behind. These are just simple steps but will do the magic for you. You can add rosewater to this mixture for a pleasant aroma and smoothening effect. This added rosewater will make the makeup removing experience a pleasurable one and it won’t be a pain for you to remove makeup. Definitely worth a try! This is one of the trendings make up removing techniques that is followed by many women. For some, it might sound quite difficult to heat the coconut oil, etc. in the night when you are so tired and just want to sleep soon. But sleeping with the makeup on is definitely not on the list, and thus you want to resort to some really easy and quick way of removing make-up. Cucumber juice with its natural cooling effects just makes people love it so much! It is very easy to use and most of all very quick. Who has all the time in the world to spend too much time on to know how to remove makeup that too when your eyes are half closed, Right? Then, time to look for some fresh cucumber juice. Take a cucumber and wash it with clean water. Peel off the skin of the cucumber now. You can also use a knife to just scrap it roughly. Take a bowl and a sieve now. Place all the roughly scrapped cucumber onto the sieve and press it hard to extract all the juice from the cucumber. You can simply cut the cucumber into small pieces and grind it in a mixer. Make sure that you are using a juice mixer so that the seeds of cucumber are not crushed. Now use a sieve to get all the juicy part and get rid of the seeds of cucumber. How to Remove Makeup By Applying Cucumber Juice? As I already told you, this is the best for all those lazy ladies who hate to spend too much time on removing makeup and just want to hit the sack. Thus this is very simple one. Yet, a very effective one at the same time. Use a clean cotton cloth to dip in the cucumber juice and wipe the make-up from your face. Wash the face using this juice again. Now you may wash it with water. You will notice that most of the makeup is removed by this. If in case you see any makeup left over, clean it again by this cucumber juice. That is all! You are done removing your makeup in just 5 to 10 minutes and now you may go to wander about in your dream world. You can also add some drops of rosewater to this mixture for a pleasant fragrance and also smoothening effects. This is my personal favorite trick! After removing your makeup, if you are not able to sleep well, then check this out! You don’t have to waste the peeled off skin of the cucumber. Rub it on your feet and you will see that you can now sleep better. They were some simple easy peasy ways of removing make-up. The disadvantages that come along by using the harsh makeup removers are many. 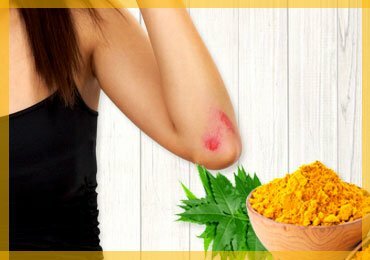 Instead of spending so much on those items that too which do not promise you a healthy skin, why not give the homemade ingredients a chance? All it takes is that small push to try out these simple remedies. Once you start using any one of these tips for how to remove makeup, you will definitely feel comfortable with these and you will be mind blown by these amazing benefits. 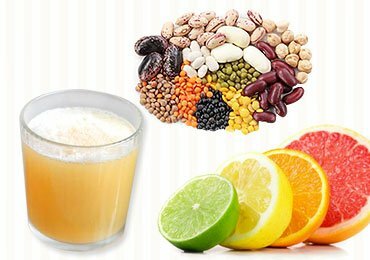 Later, the benefits that are offered by these products will act as the biggest source of motivation for you to stick to these natural homemade remedies! Get started now!